At The Finger Companies, an unwavering commitment to quality guides the development process. From site to selection to architecture...from building materials to amenities, we insist on maintaining a standard of excellence second to none. Make 500 Crawford your home base for a Big City Lifestyle like never before. Houston's best restaurants, parks and entertainment are just steps away from 500 Crawford. Choose from one of ten different floor plans featuring custom craftsman interior and modern conveniences in Houston Downtown / Midtown Area. Work. Live. Play. Floor Plans from 710 to 1,537 Sq. Ft. Residents of The Renaissance at Preston Hollow enjoy the neighborhood's close proximity to some of the top private schools in the city, as well as world-class shopping at NorthPark Center. In addition to the variety of shops found nearby at Lincoln Park Center, Preston-Royal and Preston Center. Experience French Chateau architecture, opulent apartment homes with slate foyers, gourmet kitchens, garden tub, and, of course, exceptional resident service. Generous Floor Plans from 902 to 1,885 Sq. Ft. Located in the desirable Buckhead neighborhood, Kingsboro Apartments offers the ultimate in walkability and stylish comfort. Floor Plans from 811 Sq. Ft. to 1,722 Sq. 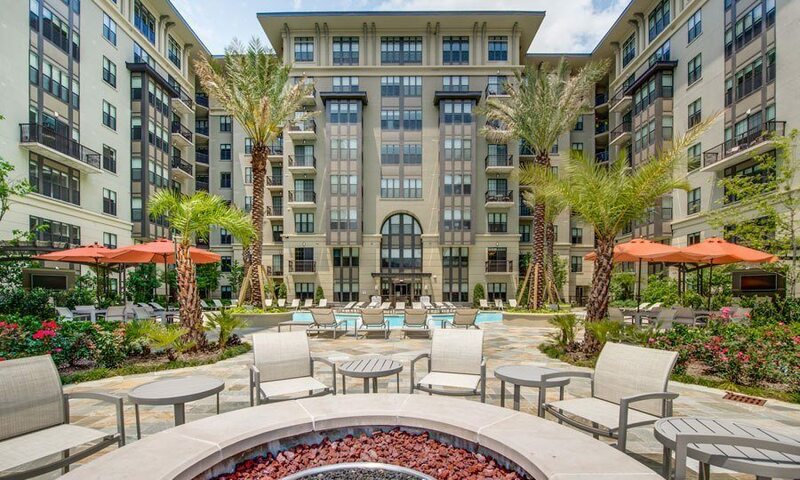 Ft.
As a resident of Peachtree Dunwoody Place, enjoy your own personal oasis in the heart of Atlanta’s bustling Perimeter Center. With a state-of-the-art fitness center, executive business center, conference room and resident lounge, you'll have everything need within walking distance. Phipps Place combines resort-style amenities, superb resident services and exquisitely designed floor plans to Atlanta’s Buckhead neighborhood. Floor Plans from 902 Sq. Ft. to 1,588 Sq. Ft. Situated on Clear Lake, Village on the Lake features breathtaking homes and waterfront views just moments away from NASA. An exquisite gated community in Clear Lake, The Park at Armand Bayou is close to beautiful nature and the excitement of the city. 1900 Yorktown is nestled in the prestigious Tanglewood area located just minutes from the Galleria. From first class dining to world famous shopping, you will enjoy a living experience like no other. Floor Plans from 755 to 1,531 Sq. Ft. The Grove at Wilcrest gives professionals and families the ultimate luxury: a resort-style lifestyle in the heart of the Energy Corridor. Custom built for comfort and convenience. Floor Plans from 713 Sq. Ft. to 1,407 Sq. Ft.
2900 West Dallas is located in the heart of the Montrose / Midtown area, located directly next to the Montrose Whole Foods and a short 3 minute walk to the beautiful Buffalo Bayou. We offer the best amenities with only a short drive to the world famous shopping Houston is known for. Floor Plans from 755 to 1,551 Sq. Ft. The Ventana is located in the Prestigious City of Playa Vista, just minutes from Marina Del Ray, Venice beach, Ballona Wetlands and LAX. We offer only the best amenities with only a short drive to the world famous shopping Los Angeles is known for. Floor Plans from 755 to 1,841 Sq. Ft.
Where City Living Meets Country Escape. As a resident of The Park on Memorial, enjoy life in your own private nest, set in the woods of Houston's storied Memorial area. With both quick access to downtown Houston and the Energy Corridor. You'll enjoy the best of both luxury and convenience. Floor Plans from 800 Sq. Ft. to 1,397 Sq. Ft.
CKO Digital is a Houston website design and branding agency that focuses on creating unique and interesting design. Since 1958, the Finger Companies has built a reputation as the leading independent developer of luxury multi-family properties.These include numerous communities in Houston, Texas, our headquarters, as well as developments in California, Colorado, Georgia, Illinois, and Texas. Our success stems from a commitment to cutting edge products design, the highest quality construction, superb landscaping, lavish resident amenities, superior property management and above all the great locations. As a result, the Finger Companies creates truly unique properties that not only withstand the test of time but also enhance the communities they serve. Get Up To 2 Months Free, Tour Today!